Artificial Intelligence and Chatbots are changing the way businesses engage with customers. They are already being used to automatically answer frequently asked questions, as well as automate the selling of goods and services via messaging platforms such as Facebook Messenger 24 hours a day, 7 days a week. These benefits, among others, are the reason behind their rapid adoption. According to a recent Oracle survey, 80% of businesses are either planning to or already see themselves using chatbots by 2020. While top enterprises are already making strides in creating chatbots, Philippine small and medium-sized businesses or SMBs may find it challenging to do the same as traditional chatbot development needs a lot of resources for development, AI training, and deployment among others. To help SMBs better automate their business processes, ChatbotPH recently launched BotMarketPH, a marketplace for ready-to-use chatbot templates during the Techtonic Summit 2018 at the SMX Convention Center, Mall of Asia. BotMarketPH lets SMBs build and deploy their very own chatbot without the need to code. All they need to do is select from a variety of ready-to-use templates available, customize it for their business, and link it to their Facebook page. The available templates are specially-designed to fully-automate important business functions of their business. Currently, it has chatbot templates for events management, retail, laundry services, and gyms among others. On top of templates, BotMarketPH also offers additional services to make it easier for customers to have the right chatbot for their business. BotMarket can customize the bot on their behalf, integrate it to existing business systems, and even regularly train the chatbot to improve its AI. 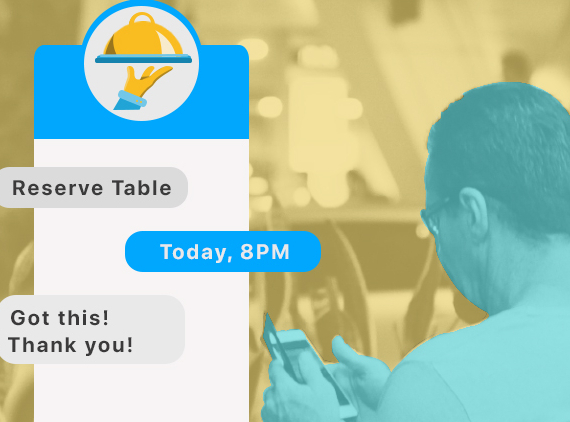 SMBs can now try out template demo chatbots and purchase a ready-to-use template at botmarket.ph or http://m.me/botmarketph for as low as P5,000. A recent report from Worldpay did several predictions on how e-commerce payment would evolve among different regions, and interest..
Budget carrier Scoot responded to Skyscanner's Facebook post, saying "Glad to know we're always on your mind, Skyscanner!".. Taking on larger roles within the agency are Mandy Chock who has been raised up to creative group head and Karan Chhabra, as a new..